Nothing seems to tickle the imagination of children more than visions of the fairy world. 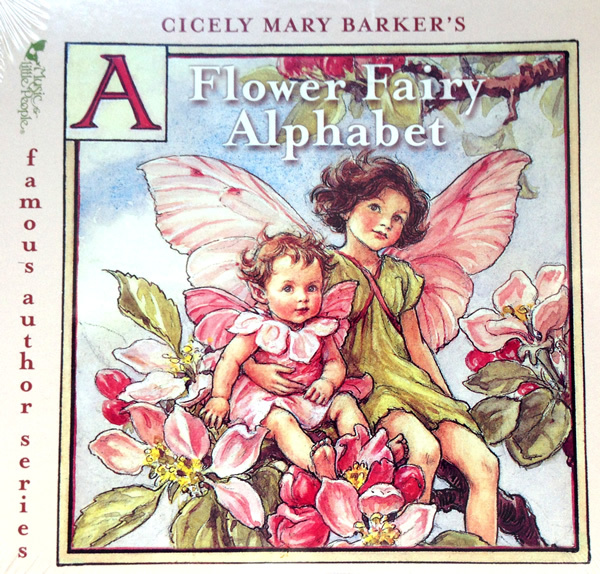 Almost 100 years ago world-renowned artist and poet, Cicely Mary Barker, created an amazing world of illustrations and poems bringing the Flower FairiesTM to life. Remaining true to her vision, we've designed a beautiful 16 page booklet that includes both the poetry and original illustrations of The Alphabet Flower Fairies.TM This Third release in the Famous Author series features originally arranged Renaissance and Celtic melodies woven togther to create a harmonious symphony. Harps, recorders, penny whistles, and a wide array of acoustic instruments complement the delicate, delightful and whimsical voice of the the "fairies". Close your eyes and be carried off to a magical place where children and adults can frolic through fairyland.